Irish Whale and Dolphin Group have entered our new marine research vessel Celtic Mist into The Gathering Cruise 2013 to provide members with the opportunity to get on board and join this exciting cruise. Celtic Mist joined The Gathering Cruise 2013, IWDG will supplied all participating yachts with cetacean recording and identification forms so that they could log any sightings during the cruise. 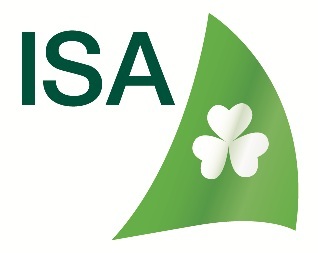 We will also be provided a presentation to the crew on cetaceans in Ireland. This was a great opportunity to promote cetacean recording amongst the sailing community in Ireland and abroad and draw attention to the rich marine life around our shores. The Gathering Cruise 2013 was a cruise of 50 yachts from around the world, gathered together from Dublin to Kerry starting in Dun Laoghaire, Wednesday 17th July 2013. IWDG offered the cruise to all members as two one-week trips. 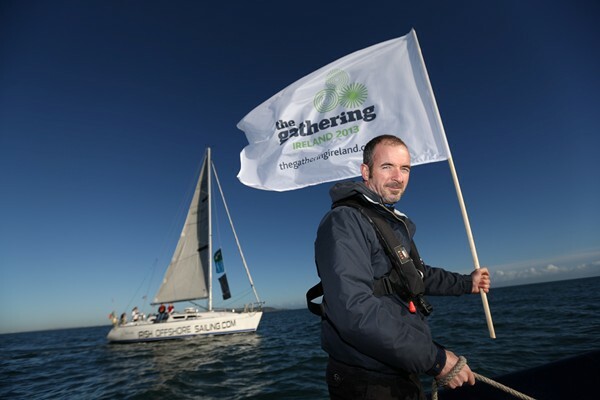 Week 1 – Sail from Dun Laoghaire, 18th July to Kinsale 24th July. Week 2 – Sail from Kinsale, 25th July to Dingle 1st August 2013. Celtic Mist sailed from Dun Laoghaire on 18th July with the fleet to beautiful Kinsale for a party of artisan foods and Irish craic on Wednesday 24th July. The Gathering Cruise saw up to 50 boats congregate in key Gathering Ports across the UK before sailing together to Ireland. Cruisers from Scotland, Wales, England, Brittany, Norway and Sweden assembled in a series of Gateway Ports along the East and West coast of Ireland – Malahide, Howth, Dun Laoghaire, Wicklow, Kilmore Quay and Cork. Transatlantic sailors gathered on the west coast, Galway, Fenit and Dingle. Upon arrival at the Gateway Ports, the boats were greeted by dedicated Gathering Welcome Ambassadors and the local communities. Boats from feeder ports in Europe and America joined them in the Gateway Ports throughout Ireland. The Gathering Flotilla left from the most northerly Gateway Ports and travelled south. As the flotilla passed the other Gateway Ports, the assembled boats there moved out to join the growing flotilla. Included for Skipper & Crew was a spectacular Welcome Gathering Festival evening of delicious Irish artisan foods from the highly regarded West Cork region and Kinsale gourmet town, traditional local music, entertainment and good ol’ Irish craic in Kinsale. Celebration drinks on arrival. A warm personal welcome from Damian Foxall, with fun awards ceremony for skippers, boats and crew. A relaxed market setting of fine local produce – Irish hog roast and local West Cork lamb roasting above the coals, fresh local seafood, a selection freshly prepared local produced salads – followed by handmade sweet tarts with tea and coffee. All set in the grounds and bars of the newly refurbished Acton’s Hotel. Live traditional music and street entertainers to add to the atmosphere of a brilliant social night, followed by live music into the early hours. This was the pinnacle Gathering Cruise celebration night – an evening to catch up on sailing stories and lift a glass to celebrate Ireland’s amazing coastline and enjoy the company of our fellow sailors. Celtic Mist departed Dun Laoghaire on Thursday morning 18th of July as part of The Gathering Cruise 2013, with seven excited IWDG crew members on board! Shortly after leaving Dun Laoghaire, we were flagged down by a fishing trawler who insisted on throwing some lobster onboard! The sea was glass like and the sun was shining, despite perfect weather conditions, sightings were few until two Dolphins were sighted south of Wicklow head. A member of crew being a qualified chef was a huge bonus and made the voyage extremely enjoyable, great food, great weather and great company! The IWDG team spent the first night in Arklow where they received a warm welcome yet again by Arklow RNLI, followed by a BBQ with the rest of The Gathering Fleet in Arklow Sailing Club. Many local IWDG members in the Arklow area also took the opportunity to come onboard and visit Celtic Mist. Friday morning the crew set sail from Arklow in the direction of Kilmore Quay, County Wexford. As the winds had increased, this provided the team with the opportunity to raise the sails and enjoy the sounds of only the wind and waves. Harbour Porpoise and Minke Whales were sighted off the Wexford coastline before Celtic Mist rounded the south eastern tip of Ireland at Carnsore Point. The crew on board received a warm welcome into Kilmore Quay by more local IWDG members that came to visit their new vessel. The following morning, Saturday, Celtic Mist departed Kilmore Quay cruising towards the Great Saltee Island where a Rissos Dolphin was seen feeding beneath many gannets just west of the famous gannet colony. Celtic Mist headed south around the Coningbeg Rock before raising the sails and sailing towards Dunmore East.A minke whale also visited the vessel for a brief moment and many other dolphins were sighted by the rest of the Gathering Fleet en route just south of Ballyteigue bay, County Wexford. Saturday evening Celtic Mist arrived into Dunmore east welcomed by our local members, Dunmore East harbour master and Waterford sailing club. Following dinner on deck at sunset, the IWDG crew joined the other sailors of the fleet for some drinks and story telling in the local sailing club.Sunday morning Celtic Mist departed Dunmore East in search of sightings, although the sea conditions dampened their hopes, the winds had increased and the crew enjoyed another sunny days sailing at sea and spent the evening on anchor in Youghal harbour. On Monday the crew set sail from Youghal to Crosshaven where they were given a warm welcome to the Royal Cork Yacht Club. Celtic Mist was due to take part in the Parade of Sail into Kinsale harbour but unfortunately the event was cancelled due to the tragedy of the Astrid sinking. However, the crew enjoyed a welcome home party with the rest of The Gathering Cruise fleet tomorrow night. The second leg of The Gathering Cruise will departed Kinsale on Friday morning visiting Glandore Friday evening just in time for the final of the Glandore regatta and yet another BBQ!! The IWDG crew onboard visited Baltimore and sailed past the famous Fastnet Lighthouse en route to their next port Knightstown, Valentia where the crew got to visit the Coastguard station and the tetrapod imprints before continuing on to the final welcome home party in Dingle.